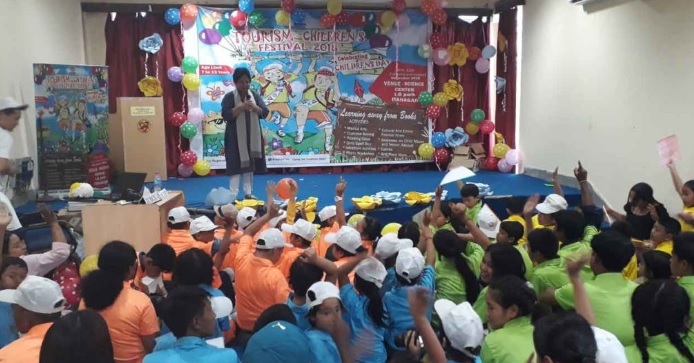 The third Tourism Children’s Festival, which began on Saturday, concluded with the participation of children from various schools of Itanagar capital complex in Arunachal Pradesh on Sunday evening at the Science Centre. Attending the concluding ceremony, Tourism Secretary Sadhana Deori advised the children to learn more about their state and help in promoting tourism in the State. She called upon the children to pass on to the society whatever they learned from the two-day event. Commending the tourism department for conducting the event, Deori assured to upgrade the festival to a four-day event in the future. Tourism Assistant Director Bengia Manna Sonam advised the students to imbibe the sense of responsibility in order to make tourism a success. “Sonam said that tourism requires mass participation and success cannot be achieved without support and participation from the people, especially young ones. During the two-day event, girl children were taught self defence by karateka Nobin Jomoh, and awareness was imparted on child abuse, sexual assault, and good and bad touch. Tent-pitching and adventure activities were imparted by adventurers Minjum Yonggam and Tage Righe; noted painter Jene Hai took a painting class; a photography workshop was conducted by Bengia Mrinal; Licha Jerna taught origami; and Lichai Tain presented a magic show. Later, the tourism secretary gave away certificates and mementoes to the participants.